It never ceases to amaze me how many low mileage W124 E320 Cabriolets are out there knocking around in the streets. Here comes another one brought to our attention by one of our readers that is for sale in San Francisco. For those who want the fun of an open roofed vehicle with robustness and durability that is hard to match, you don’t have to look much further than these modern classics. They aren’t the fastest cars out there, not the most flashy, but garner a great deal of respect from those familiar with them and passers by. 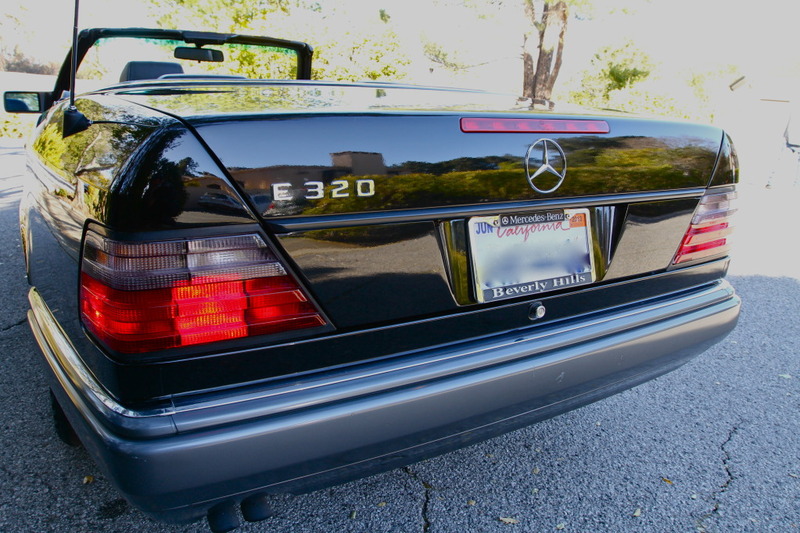 Rare opportunity to own a modern classic 1995 Mercedes Benz E320 Cabriolet in triple black with only 28k miles! 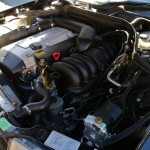 One of the lowest mile E320 cabriolets cars for sale in the country. Mercedes has not made a four seater convertible since the 1970s. This is destined to be a collectible and Mercedes enthusiasts know the value. The last of the hand made Mercedes. If you have searched for the perfect example of an E320 cabriolet this is the one. I have owned many nice cars and this one has always received many compliments on my rare outings with the car. Short trips to Napa or to the local coffee shop on a nice day. 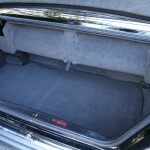 This car was sold new on December 2, 1995 from Sutherland Motors LTD Spokane, Washington. Never driven in harsh weather. Brought to San Francisco and subsequently sold. Purchased thereafter from Monterey Jaguar in Monterey, California. I have garaged the car and maintained it very well. Only driven less than 400 miles in the past year. It just sits in the garage waiting for a nice day. The car is all original and stock condition. The way you would want to purchase one. The top is excellent with no rips or tears. 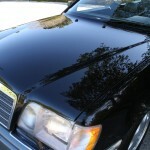 Paint is excellent with on small ding on left front fender and tiny soft ding below gas tank lid. The leather seats are amazing condition. No rips or tears and the drivers bolster is not even worn at all. See the pics. She runs and drives excellent. Drive it anywhere with confidence. Complete with owners manual and booklets. Email for more info. Clean title hand. Seller reserves right to cancel auction early. 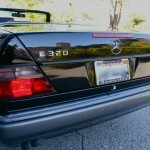 A few of the E320 Cabriolets we’ve featured have been offered at insane prices, sometimes deep into the $30,000 range. The seller is smart by letting this one go at no reserve. I’d suspect bidding might reach close to or at $25,000, but not much more. One thing that would be good to note for potential buyers is whether the car has the original wiring harness, as these cars were known to have issues with them degrading over time. Then again, you never know with these things if the right buyers happen to get in the (virtual) room. 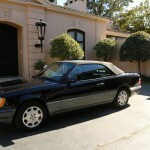 Tagged 1995, Cabriolet, Convertible, E320, Mercedes Benz, w124.